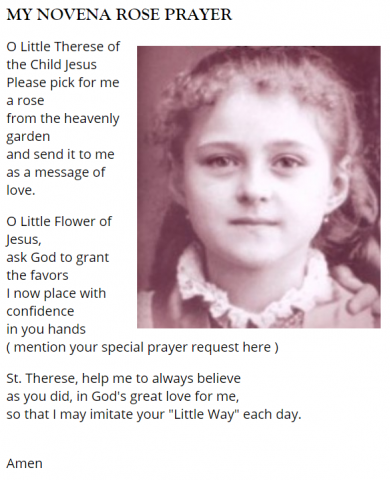 As I spoke about on Relevant Radio’s Morning Air Show, today (at the 25-minute mark, Monday, September 24), this is a great day to begin the very simple and joyful novena to one of our greatest saints, St. Thérèse of Lisieux of the Child Jesus (a.k.a., The Little Flower). In fact, any day is a great day to begin to invite her to walk with you and teach you what she knows. Thérèse is a doctor of the Church because of her spirituality of simplicity and trust, as well as her highly-accessible writings, which continue to have a profound impact on the Church. I highly recommend her memoir, Story of a Soul (read it free, here), and a powerful little book (available for about $3) of her advice to novices, The Thoughts of St. Thérèse. 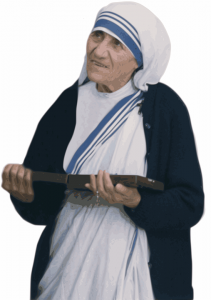 First, find below a little about my connection to her, and then I’d like you to know more about the saint herself. 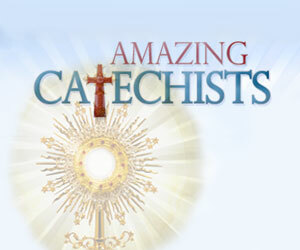 Scroll down for catechetical takeaways! When I experienced a deep conversion back to the Catholic faith, in 1992, at the age of 33, Thérèse was my first saint “friend.” She has been a powerful intercessor ever since, and I named my daughter (who came to us, finally, after many years of infertility) after this beautiful saint. Thérèse is known for sending roses as a sign of her intercession, and I still receive roses in many different forms, quite often. Sometimes I actually receive a flower or find a rose petal laying somewhere. Sometimes it’s an image of roses that comes into view at a key moment. 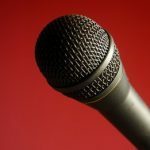 I have noticed, at speaking engagements, that I am almost always approached after my talk by someone named Rose, Rosa, Rosemary, Mary Rose, Roseanne, or even Therese. I always tell them, “You’re my rose from St. Thérèse, today!” Often, they have something of value and beauty to share with me. Marie-Francoise- Thérèse Martin was born in Alencon, France in 1873. Her mother died of breast cancer when she was very young, so Therese was a sad little girl and quite spoiled by her family, but a conversion experience struck like lightning at the age of 14 and made her want to be totally pleasing to God. Not long after that, she became very ill and was tormented by the devil, but she was healed through a miraculous statue of Our Lady that was placed in her room. 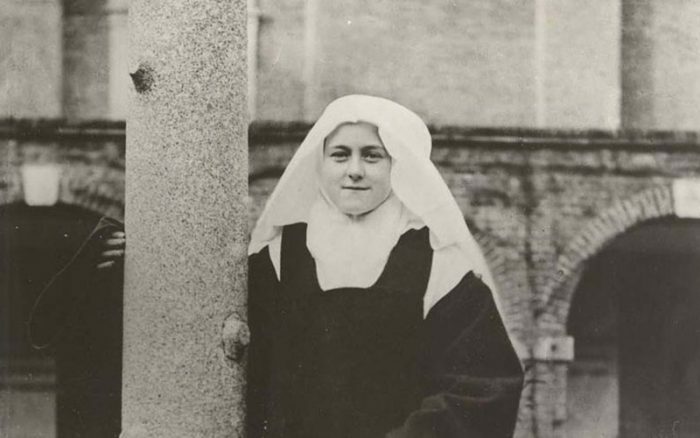 Thérèse sought entry to the Carmelite convent at Lisieux, France, at a young age and went to Rome to seek permission from the Holy Father, Pope Leo XII. She entered the order at 15, and by 21, she was the novice mistress, due to her great wisdom and sanctity. She suffered much for the sake of others, but she was always cheerful. She wrote poems and plays, dedicated herself to loving the most difficult nuns in her convent, and—under obedience to her superior—wrote the great spiritual classic, her personal memoir, Story of a Soul, which is something anyone can read and be blessed by. Both of Thérèse’s parents and are also canonized saints, and her sister, Leonie, is under consideration! What an amazing family. She is known as “The Little Flower” and her “spirituality of the smile” (a.k.a., her “little way”) has transformed the faith of so many people, increasing their trust in God and their desire for sanctity. Takeaway: When we look for God in others, we find him. Jesus said, “Seek and you shall find” (Matt 7:7), so when we look for him, he is looking back at us. And as we gaze at each other, we become more like him. And since we are made in his image, we find our most authentic selves by imitating him. It’s a win-win-win. By looking for Jesus in others, we swiftly grow in virtue, as well as in the gifts and fruits of the Holy Spirit, and we increase our desire for holiness. When we desire holiness, like St. Thérèse did, we should recognize as she did that we cannot become saints on our own. 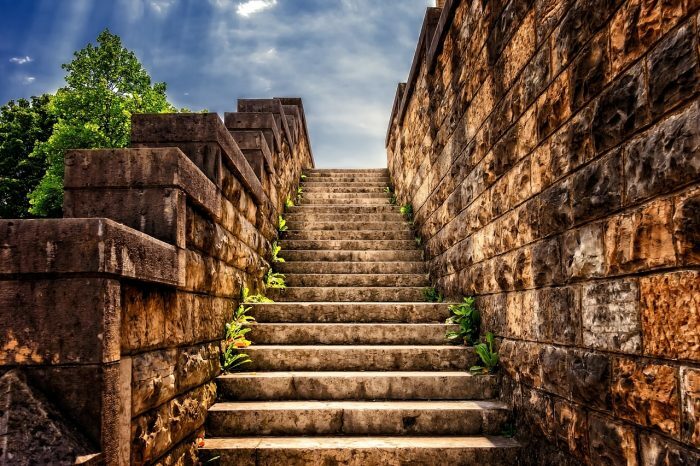 Thérèse wrote in Story of a Soul that she saw herself as a little child trying to lift her tiny foot onto the first gigantic step of sanctity, but not able to reach it. She described herself as looking up at Jesus, who stood at the summit of the staircase, gazing affectionately down at her. She declared that she would lift her arms and beckon to him, and he would come down to her, lifting her in his arms and carrying her up the stairs to sainthood. Takeaway: We can do the same! This spirituality of great trust and affection for Jesus can teach us the practice of abandonment to grace, which allows God to work miracles in our souls. Takeaway: We should never doubt the dignity of our own souls, which by virtue of our baptism are tabernacles of the presence of God. Especially after Holy Communion, we are tabernacles of the presence of Jesus, which is why we don’t genuflect, as we enter the pew! Just as the hidden presence of Jesus in our churches impacts the culture for good, that same mysterious presence of Jesus in our souls can impact society, as well. And remember that God himself contains all of his creation: the angels and saints, the planets and stars, the earth and all its many layers of life, the Holy Souls in purgatory, and all of our loved ones, living and dead. And that presence is contained in your soul! God dwells in you in all his completeness. Contemplate the majesty and mystery of that powerful and holy presence in your soul, every day, and then cultivate an awareness of that presence in others. In effect, continue to seek the face of Jesus in others. Takeaway: Such an accessible spirituality is truly worthy of our devotion, and such a sweet, charming saint is a precious gift to model ourselves after! The novena (nine days of presenting a prayerful petition, modeled on the nine days of prayer that preceded Pentecost), starts today, culminating on her feast day, October 1. Of course, we can do the novena at any time, and many of her friends pray the novena prayer daily. Ask Thérèse to teach you her spirituality of simple trust, and watch your life change for the better. 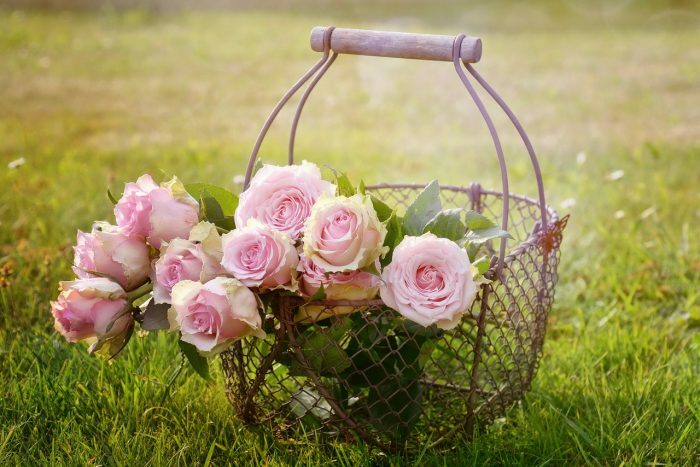 And as you befriend the Little Flower, St. Thérèse of Lisieux, watch for roses! She always sends them. 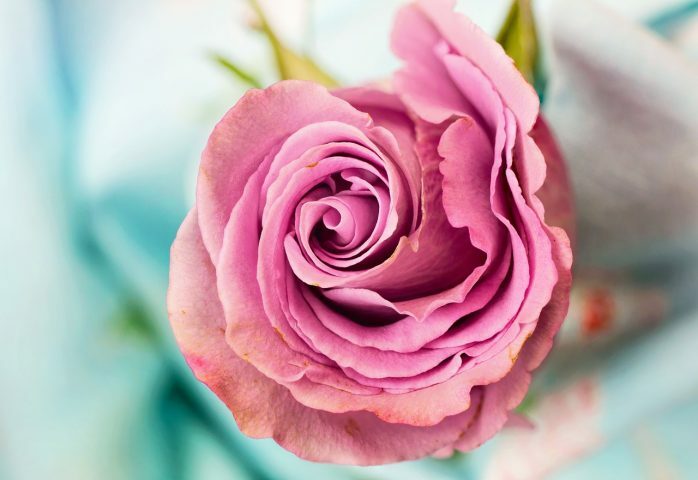 Here is a rose for you, today!